Our Fox and the Hare design was created in June, for Rob and Meg’s autumn Ottawa wedding. 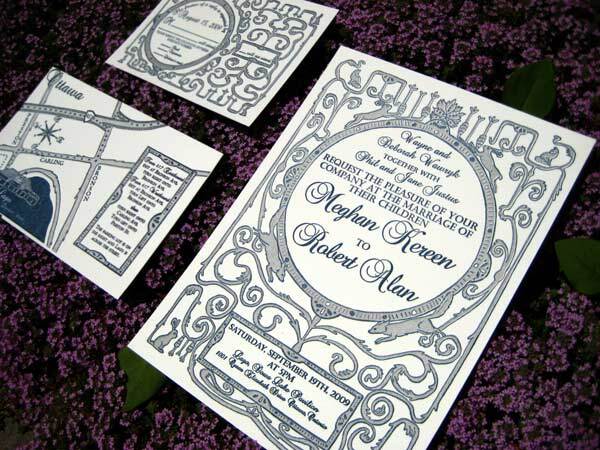 The couple did not have any concrete ideas for their invitations, only a colour scheme of navy blue and silver. We set about creating a few different sketches for them to choose from. Initial chosen sketch for The Fox and the Hare design. The swans were swapped for foxes. 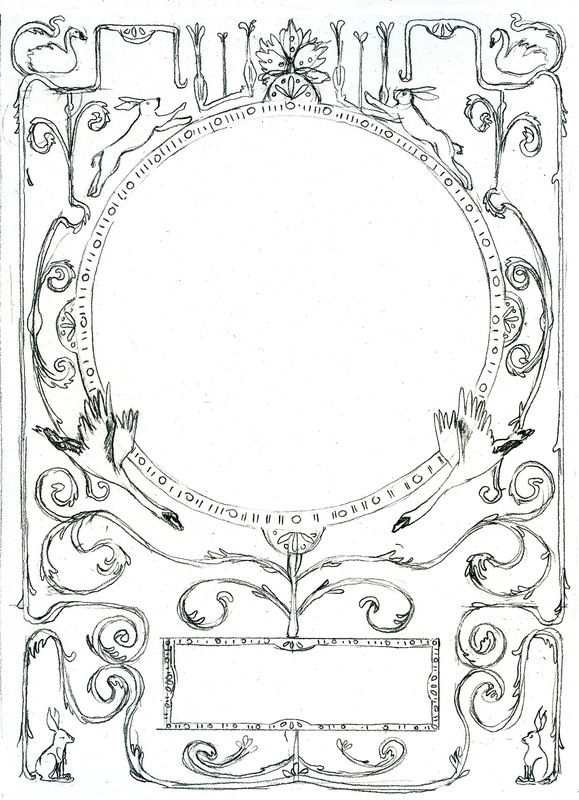 Rob and Meg chose the sketch of an ornate motif featuring a hare and a swan. Since they felt they did not have much connection to swans, we were asked to change the swans to another woodland animal. It was a perfect opportunity to add a fox and make it a themed invitation set. Chantal illustrated the final motif with hidden elements; “easter eggs” for people to find if they looked closely enough (can you find them?). We then illustrated the reply card, map and two sets of envelopes with the same theme as the announcement. Finally, everything was printed in silver and navy blue and turned out beautifully, despite an incredibly tight registration job (we love a challenge here at PP!). 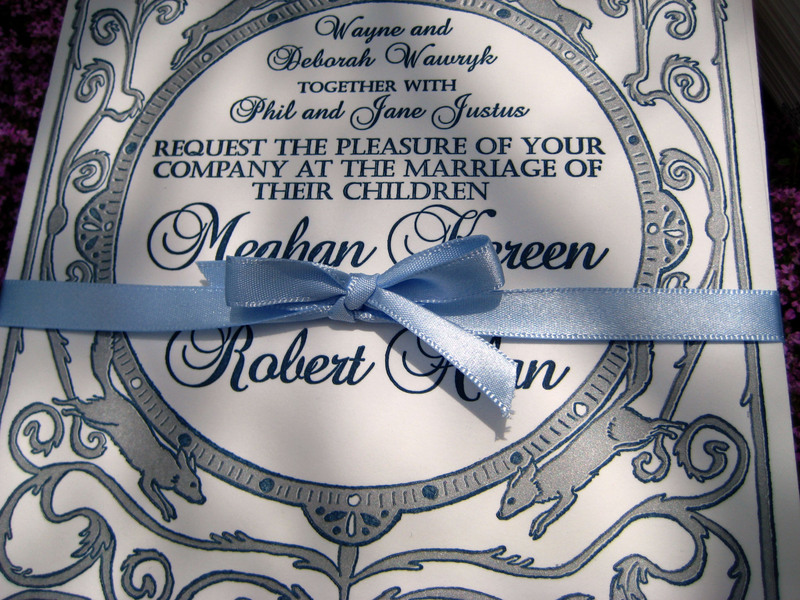 We want to thank Rob and Meg for being so open to our ideas and giving us full rein to create an invitation that we love and are very proud of! Finished invitation, including map and reply card. Carrots and lettuce are hidden throughout the motif; can you see them? Detail of the announcement. The registration was tough but it turned out well! 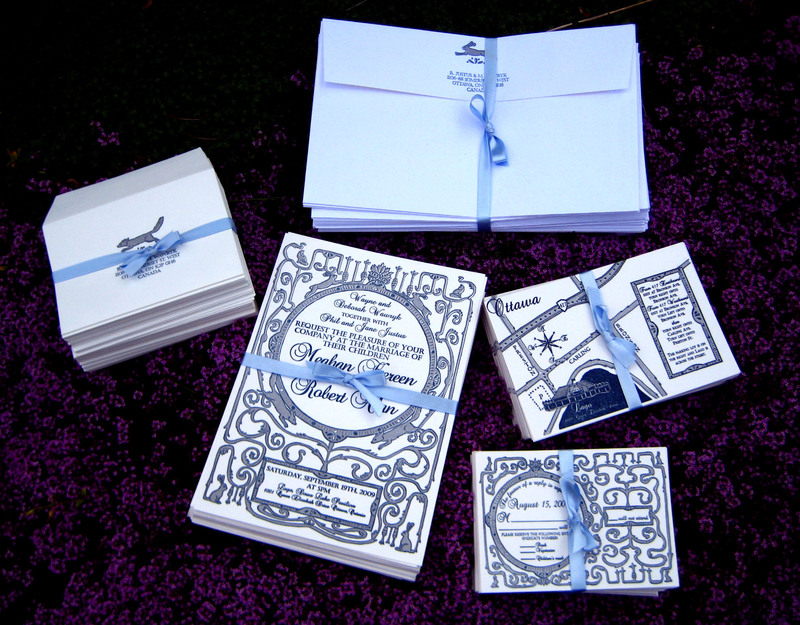 Finished invitation set, including reply and outer envelopes, ready for packaging.